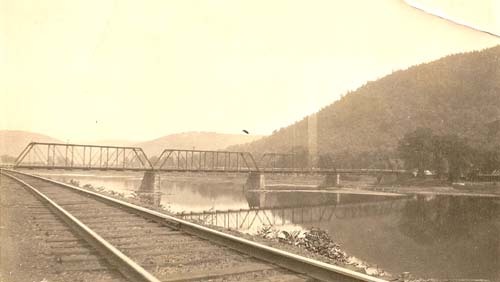 This is an assortment of historic photos moving generally in an west-to-east direction, from the woods to the mills and to the PRR connection at West Hickory.. This is just an extraordinary shot I just acquired from the Casler collection. This is literally the 'end of the railroad' at Hearts Content, just after construction. You can see the light logging railroad construction with no tie plates, ballast, and incredibly light rail. The surface alignment is minimal, and the ties are rough-hewn. You can also see that the track ENDS in this shot and the trees aren't even cleared beyond it. 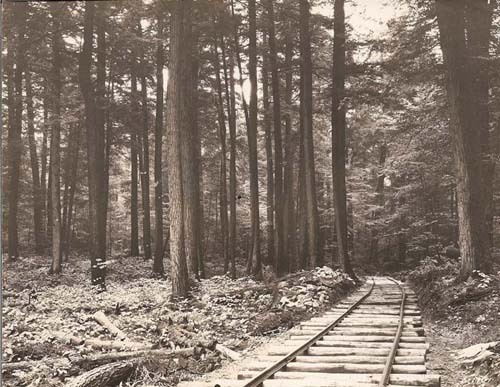 The fact that this is at Hearts Content and a US Forest Service photo, and that the virgin trees in this area remain today, shows this as the very end of the rail operation. Walt Casler pencil dated it as August 1, 1926. 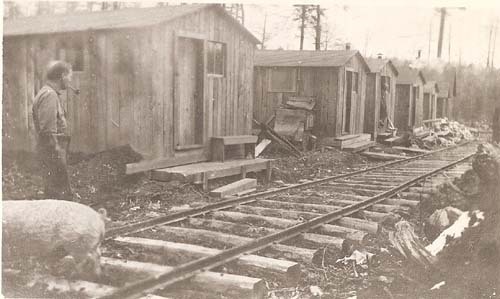 This is a really interesting shot of W&D's portable logging camps; this one identified by Casler as Camp 11 (Paul Morgan photo). Pencil dated as 1918. Note the efficient method of meat preservation in the lower LH corner. W&D really did use the little rod locomotives for logging, as here is #3 in the woods, "near Camp 7". 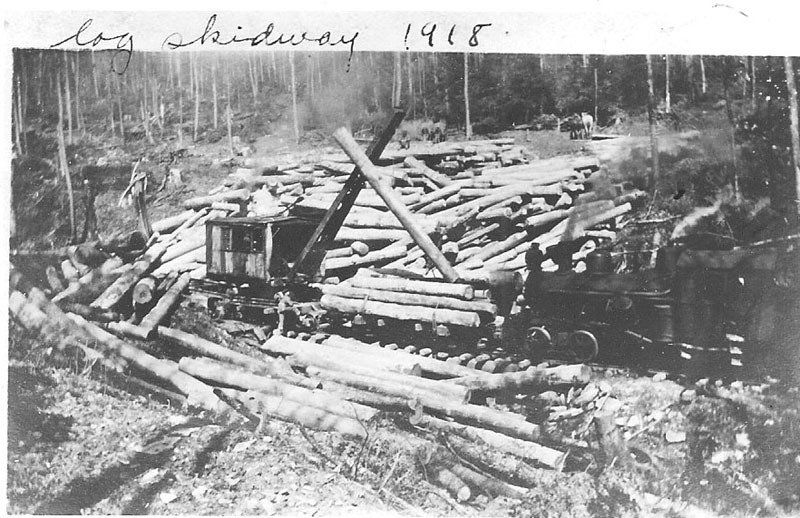 Note the log rollways and the loading crew; no American Loader here. This is a really interesting shot of a large log skidder landing identified as "Porkey, 1918". The loader is one of W&D's American's and the locomotive is Heisler 7. There's a lot of detail to appreciate here - note that not all trees were cut, the 'bank design' of the loading area, and you can clearly see all the horse team skidders in the background. The logs look peeled so the assumption is Hemlock. I found this postcard on Ebay, and it must have a story. The third rail is not a guard rail, it is the 48" rail of the Reno Railroad dual gauge. That places it above the Endeavor mill, but where? 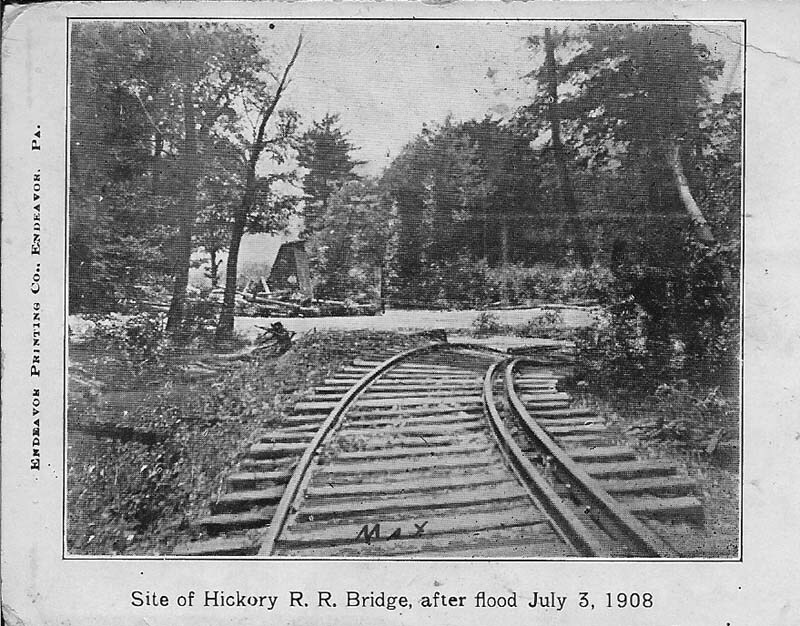 There is no documentation anyplace else of a big flood in 1908 in the Hickory Creek watershed, but it was enough to wipe out the railroad trestle. The postcard is postmarked 1909 on the reverse. If you know more about this, please email me with any information you can discover. The W&D mills required a big pond, and a big pond required a big dam. This timber and earth dam spanned Hickory Creek beside the machine shop. Some timbers can still be found today, and a few 3-foot long spikes can be found. The Upper Mill can be seen to the left in the distance. Possibly the 'All-Tme Best" photo of Wheeler & Dusenbury ever taken is this millpond shot of #7 at the lower mill log dump. This is taken more or less in front of the jackslip looking east; the Pine Mill is in the background (three stack boilerhouse). 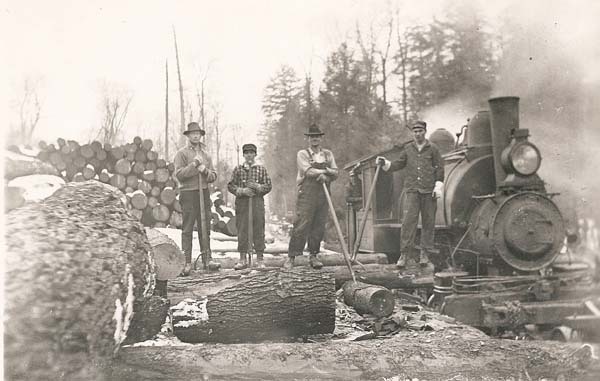 This photo was the inspiration for the cover shot art of Walt Casler's book "Allegheny Valley Logging Railroads". 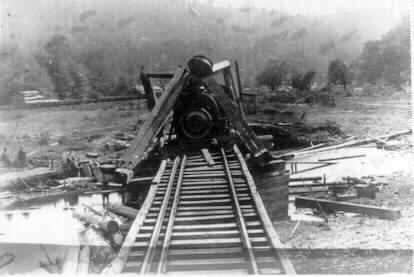 W&D didn't have any memorable wrecks, but they did manage to drop poor old #3 through the bottom of a wooden pony truss right into the bed of the creek, just above the upper pine mill. The entire bottom of the bridge broke out, depositing the Porter 0-6-0 straight down. and collapsing the bridge on top of it. It must have been quite a ride! Several shots were taken of this event. 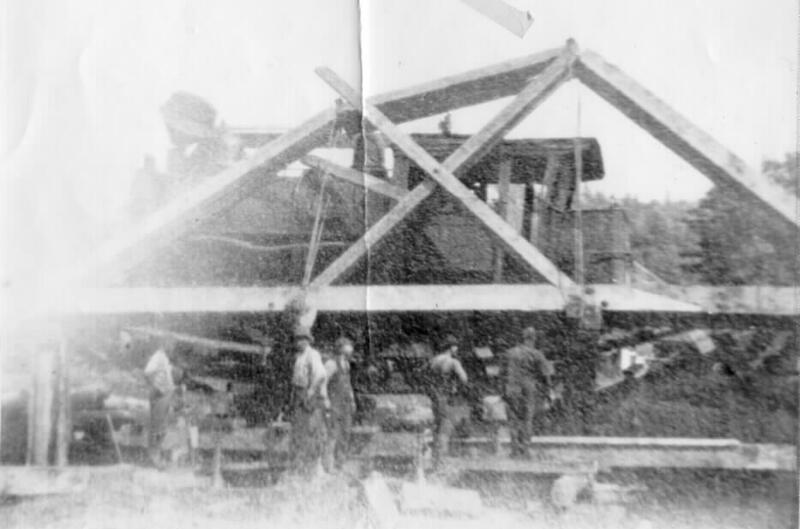 A laborious process of jacking and cribbing apparently restored the locomotive back to track level. If you look carefully at the shots, there is something very strange. No sign of the odd trailing truck on #3 can be seen in these photos. Research in Porter locomotive records show this same locomotive as leaving the factory with the same builder number TWICE, the first time as an 0-6-0 and the second time as an 0-6-4, the only standard-gauge one of its kind. Apparently W&D demanded that Porter do something to make it easier on the track and they came up with the odd 0-6-4 wheel arrangement and repaired it at the factory. In any case, #3 had a rough life in the woods.. This shot came out of my mother's family album; I'm guessing the date is about 1930. It's of the West Hickory Bridge, but what is also notable is the extraordinarily good maintenance condition of the PRR Salamanca Branch trackage in the foreground.